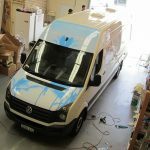 The Volkswagen Crafter 35 is an excellent canvas to apply vehicle wraps to. 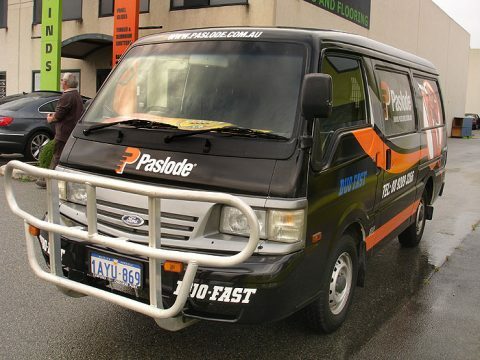 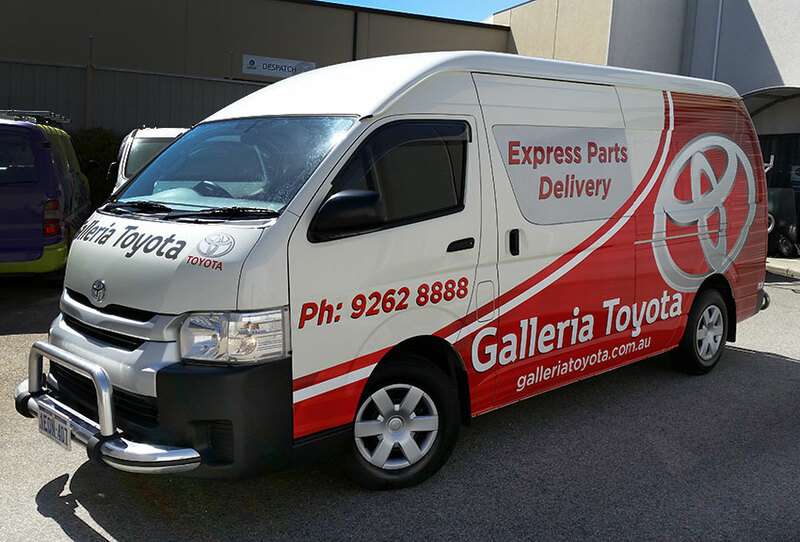 Perth Graphics Centre tackled this van wrap by treating each panel as an individual. 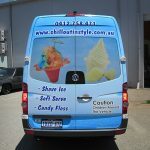 This allows us to speed up the printing, and match up edges more effectively. 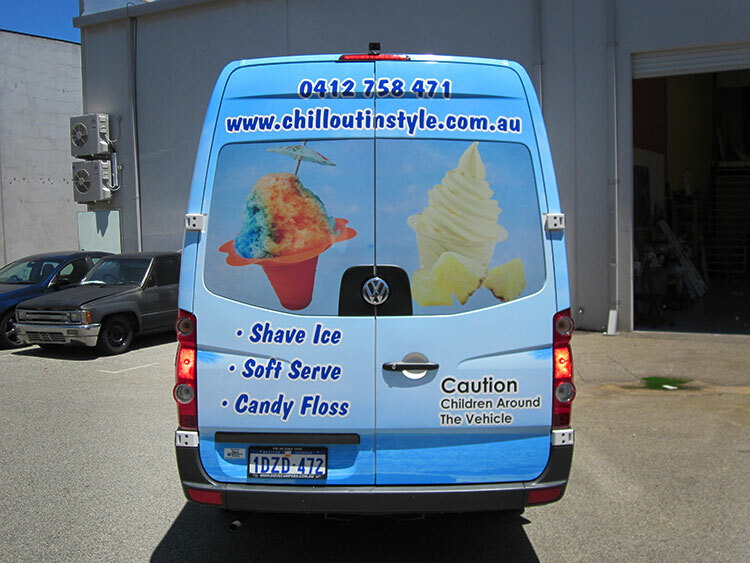 The print was done using Arlon 6000X with 3220 overlaminate, an extremely durable and conformable vinyl. 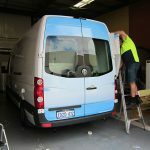 Our team of professional qualified applicators took to the van wrap, leaving no area without attention. 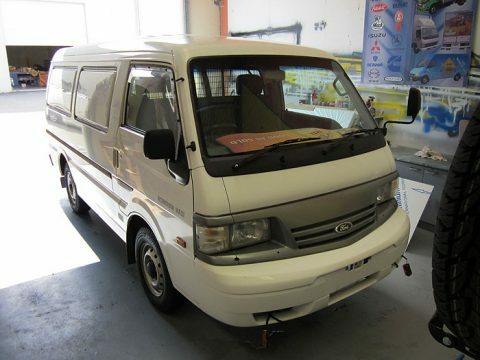 The end result is, as you can see, visually stunning and attractive. The customer, Chillout In Style, was extremely pleased with the result. 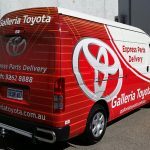 If you have a van wrap, or vehicle wraps, Perth Graphics Centre is the place to head. 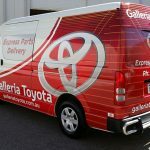 Perth Graphics Centre’s expert team of designers, printers and installers will make sure your vehicle wrap stands out from the crowd. 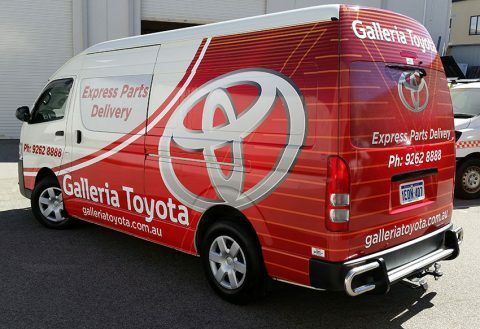 It’s one thing to have lots of information, but if it gets lost in amongst flashes of colour and photos, then it’s wasted money. 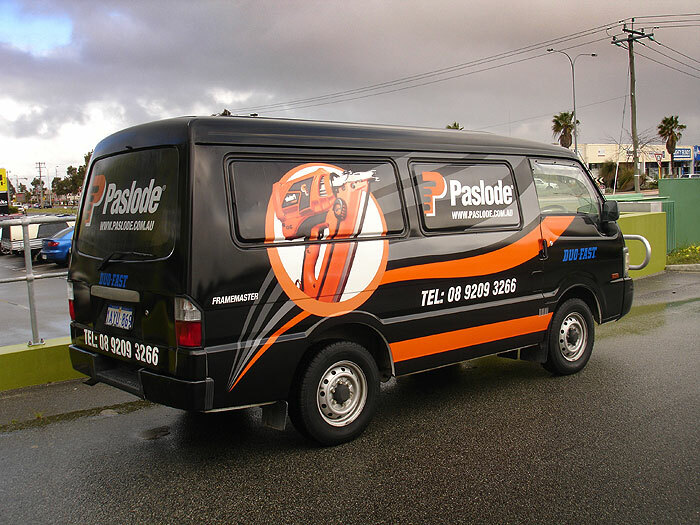 We’ll make sure your vehicle wraps stand out in Perth traffic, and grab the attention your business deserves. 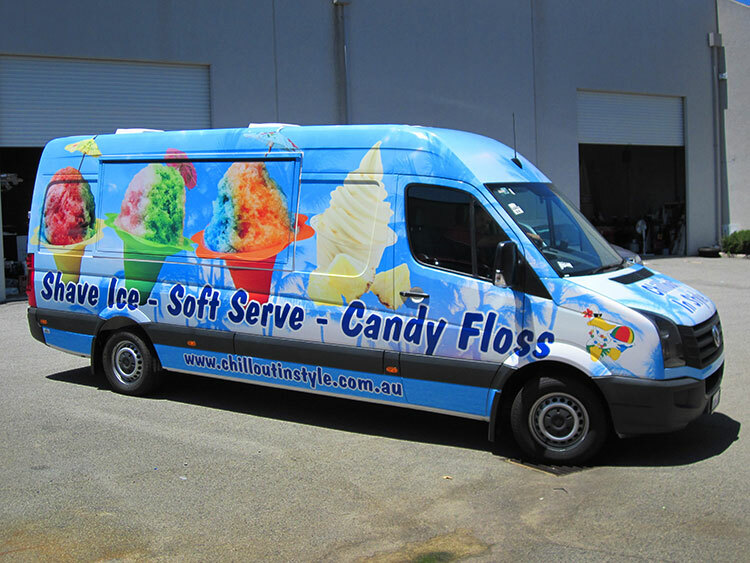 Just like this ice-cream van wrap, Perth Graphics Centre can ensure your vehicle wrap is eyecatching, bold and colourful, without being too busy. It’s a delicate balance, but PGC prides itself on producing high quality, aesthetically pleasing signage. 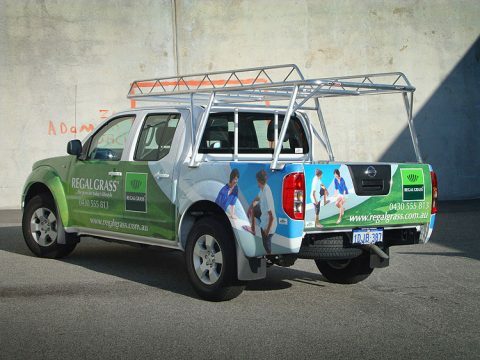 Click here if you’d like to enquire about vehicle wraps for your business. 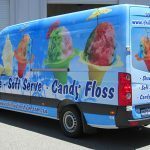 When our customers are getting car signs or vehicle signage installed, we are often asked if the car has to be washed first. 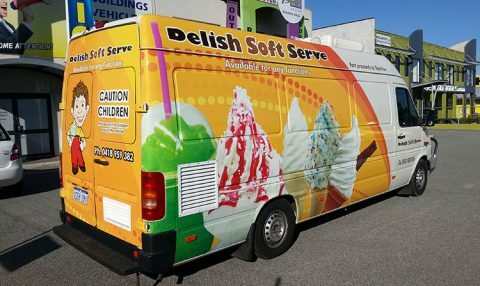 The answer is a definite “yes”. 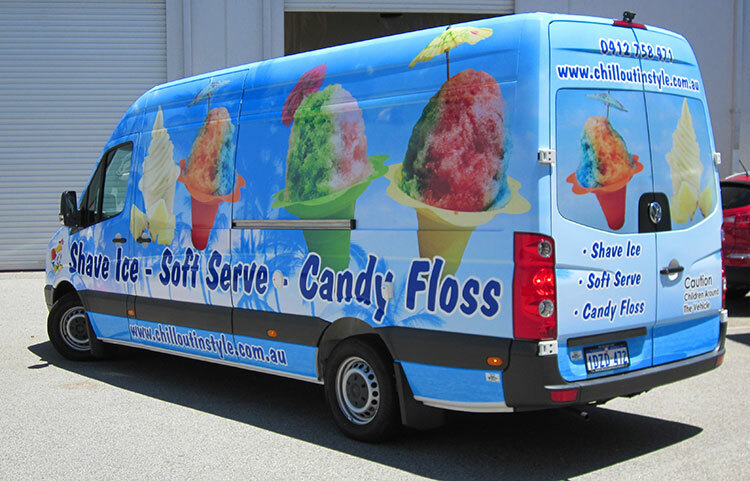 But there’s more to it than just a quick wipe down. along the bottom of the body and around the wheel arches. Do not wax or polish your car prior to having your signage or vehicle wrap applied. Ensure car is dry before coming in and there are no water-marks or spots left on the car. around the rubbers or seals. 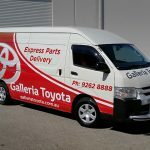 Please note, if the above has not been done, either your graphics will not be able to be applied, or additional charges may apply. Remember, good preparation helps us to do a great job on your vehicle graphics and will ensure years of life for your signage. Here, we are showcasing a complete vinyl wrap, creating a black van wrap from a white van. 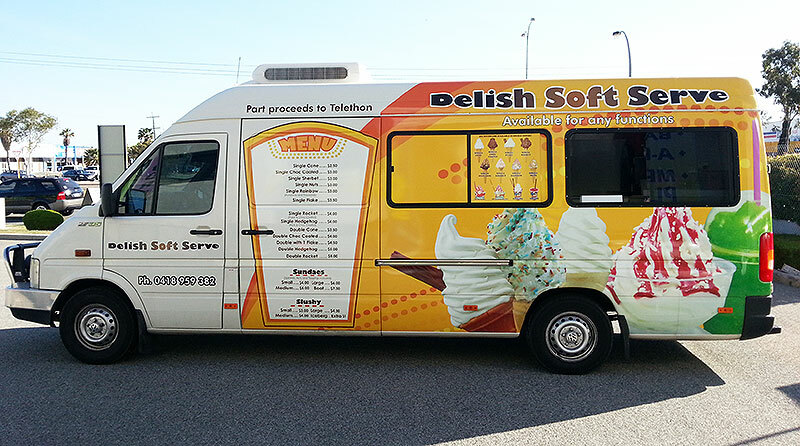 Using black vinyl as a base – to ensure durability – and working in layers over the top, we’ve been able to transform a white van into the moving billboard you see here. 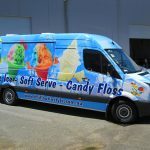 With this vehicle wrap, we used cast vinyl to be able to stretch into the deep recesses and have it hang on for years. 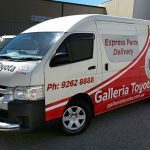 Vehicle wraps need time and care, which is what we specialise in at Perth Graphics Centre. 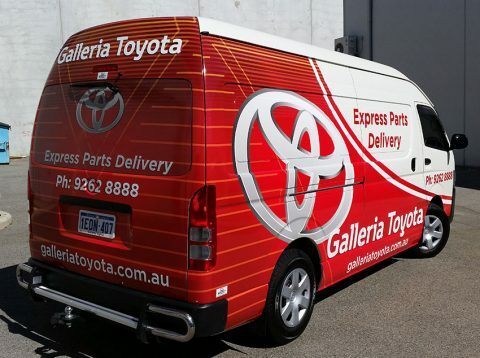 If you are considering a vehicle wrap, then give us a call to discuss your needs. 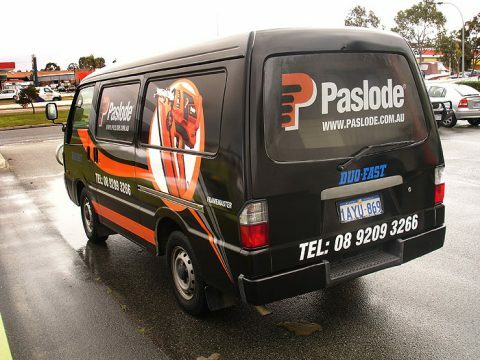 We have the manpower, the expertise and the attention to detail to ensure your business gets the exposure it deserves.